An Extended Auto Warranty provides coverage for electrical and mechanical breakdowns for a car in the period of enrollment. The term “extended auto warranty” refers to the extension of the warranty provided at the time of purchase by the manufacturer. While dealerships commonly offer extended auto warranties at the time of purchase, third-party extended auto warranties can be purchased throughout a vehicle’s lifecycle from various companies. When purchasing from a third-party provider, users can choose from a variety of plans depending on their vehicle’s qualifications defined by the policy provider. Third-party auto warranties are often referred to as service agreements, service contracts, and maintenance agreements. When speaking about third-party extended auto warranties, all provide roughly the same thing. What is the Difference Between an Extended Auto Warranty vs. Auto Insurance? Often a cause of confusion, extended auto warranties differ from auto insurances. While some providers may offer both protection policies under the same name, the coverage between the two is very different. As stated above, extended auto warranties provide coverage for electrical and mechanical issues that occur with a vehicle in the coverage period defined by the provider. Depending on the type of coverage offered, an extended warranty could cover up to 100% of the cost of a repair bill and provide coverage for additional offerings. Trip interruption coverage assists a policyholder in the event their vehicle breaks down while traveling. This coverage will often provide funds, or reimbursements, for lodging and meals while the vehicle is being repaired. Some providers offer introductory maintenance for new enrollees for a designated period. Typically, this coverage occurs within the first year of a vehicle’s protection and includes offerings ranging from oil changes to car battery replacements. Car rental assistance is provided to individuals whose vehicle is taking an extended amount of time to be repaired. This coverage will allow for the continuation of daily commute without the need for stopping. Depending on the warranty provider, a referral program may be available. This will allow an individual to provide others with a recommendation to enroll in the same coverage and would reward the original policyholder with a monetary benefit. Extended auto warranties do not protect vehicles in the event of a collision, or provide any form of liability to the policyholder if an accident occurs. Unlike an extended auto warranty, auto insurances do not offer any coverage on a vehicle’s components during its day-to-day operation. Insurance covers a vehicle and its driver in the event of an auto collision, theft or any external issues with a vehicle. Liability coverage assists the individual found at fault in paying the impacted party’s medical bills, or damage to their property and vehicle. Collision coverage may assist the policyholder in paying for vehicle repairs or replacement after an accident occurs. This coverage is offered to the policyholder regardless of fault. Comprehensive coverage provides protection for damage that occurs to a policyholders vehicle outside of an instance of a collision. This coverage protects a vehicle in the event of theft, fire, vandalism, and falling objects. Medical payment coverage may assist the policyholder with medical costs for those inside the vehicle during an accident. Unlike extended auto warranties, auto insurance has become a legal requirement in all 50 of the United States. Failure to provide insurance if pulled over could result in a license suspension or a large fine. It is recommended to combine both auto insurance as well as an extended auto warranty to provide full coverage for a vehicle. Auto warranties have been around since the beginning of the automobile industry. This is due to the poor composition of vehicles being manufactured. The first recorded instances of an extended warranty offering came from Ford in 1925. Ford’s new vehicles would offer a 90-day warranty on parts and components and only a 30-day warranty on labor. This warranty was very limited in its offerings, as it excludes coverage for major components such as fan belts, glass, bulbs, wiring, transmission bands, rollers, sparkplugs, gaskets and more. Even with its limited offering of support and coverage, this 90-day/30-day offering became the standard within the automobile industry until the 1950s. In the mid-1950s this offering began to change, offering a lengthier amount of time for the coverage of components, limiting mileage as opposed to a dictated timeframe. This way, individuals would have a more realistic provision of time for coverage. The 1950s also saw the creation of third-party extended auto warranty providers, yet offerings for advanced coverage didn’t begin until later in the VSC’s lifecycle and offered a more extensive for of coverage over the industry standard. By the 1960s, the automobile industry began to expand larger than ever before. Ford began providing an extensive 1-year/12,000 mile warranty on new vehicles purchased, offering one of the best non-luxury warranties at the time. Though, the standardization of importing vehicles from foreign manufacturers became more widespread and created more competition for American produced vehicles. The volume of which these vehicles were produced and imported extended past anything the United States was capable of keeping up with. These vehicles came standard with the same warranty offered by Ford and were often priced cheaper, causing the need for a new strategy to be formed. Thanks to this competitive nature caused by the mass import of foreign vehicles, warranties became the main selling point for American vehicle manufacturers. 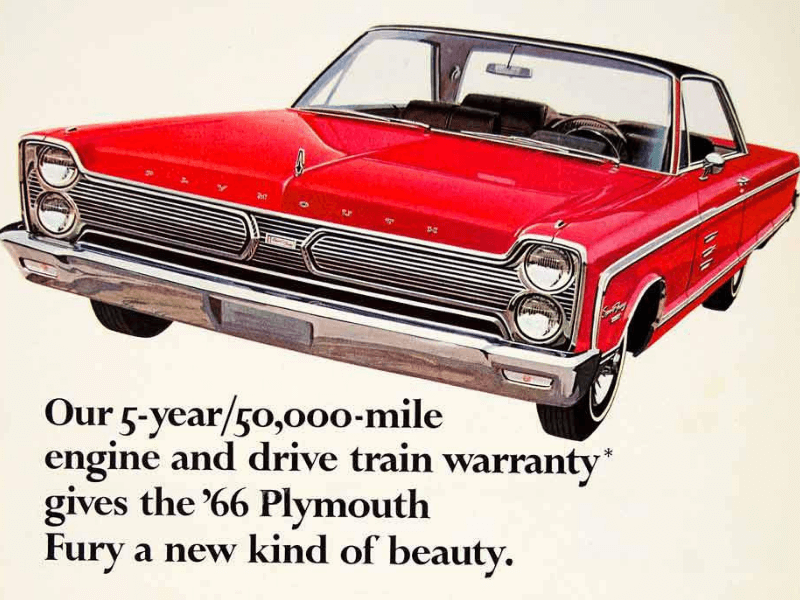 By the mid-1960s, the larger in-state car manufacturers began offering an extensive 5-year/50,000 miles extended warranty with the purchase of new vehicles. Unfortunately, the rush to produce more vehicles to compete with the inventory levels of those imported resulted in the poor craftsmanship and reliability of these vehicles. This resulted in an extensive amount of vehicles being brought in for repairs covered under warranty, hemorrhaging money from the individual manufactures. Once the 1970s hit, vehicles manufacturers had already lost a significant amount of money due to the large influx of warranty repairs. Backed against a wall, manufacturers resulted in reverting their warranty offering back to a single year. This provided a stepping ground for VSC’s to began building the empire known today, offering the same 5-year/50,000 mile warranty recently rescinded by the manufactures. Individuals began flocking to these VSC providers in droves due to the reliance of an extended warranty, thanks to the vehicle composition remaining the same. In 1975, the Magnuson-Moss Warranty Act was put into place defining the stipulations of the warranties providers. If a product, regardless of industry, provided a warranty at time of purchase every covered component was to be provided in plain English and provide no misleading or hidden loopholes. Though, this law didn’t require products to be offered with a warranty in the first place. This new act gave birth to expressed and implied warranties, defining what coverage was provided and for how long. Around this time, VSC providers had additional ramification instilled onto them from the government, resulting in the requirement of insurance from the state and by the banks themselves. With the inability for a majority of VSC’s to secure both forms of insurance, absorption to the larger regional brands began. This effectively removed smaller VSC companies from the competition and allowing the larger brands to thrive. The 1980s introduced an emphasis that was again put on the quality and construction of the vehicle, ensuring they wouldn’t require extensive repairs after being driven off the lot. This allowed larger brands such as Chrysler to begin offering the 5-year/50,000 extended warranty once again. The competition was quickly met by the foreign manufacturer once again, with big brands such as Honda, Nissan, Subaru and Toyota offering an extended 3-year comprehensive coverage and a 5-year powertrain coverage. These offerings were possible due to the merging of VSC providers with auto dealerships, allowing for affordable extended coverage to be provided to American manufactured vehicles. With the merging of the VSC providers, newer experimental offerings were able to be provided to consumers. These included plans offering zero dollar deductible, 7-year/100,000 mile powertrain coverage and dealer offered insurance. With their partnering of dealerships, VSC providers were once again able to thrive, and the competition was brought back to life. Wondering if an Extended Auto Warranty is right for you? 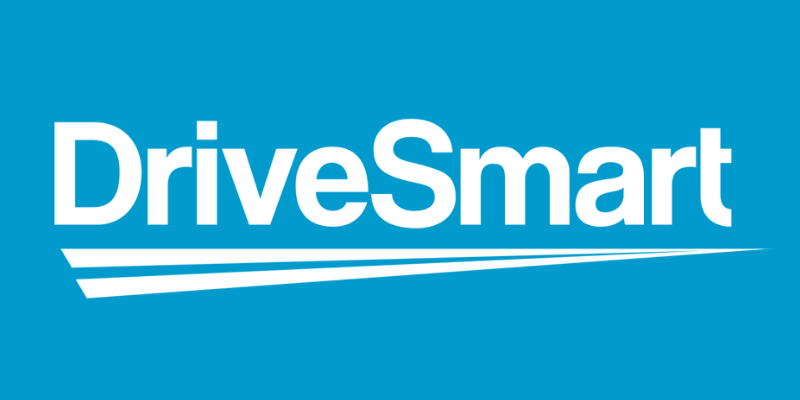 Click Here to recieve a quote from DriveSmart and find out how much you could save! When the 1990s hit, some manufacturers began offering their version of an extended warranty to begin partnering with dealerships. This resulted in a majority of dealerships dropping independent VSC providers as the main underwriter of provided warranty offerings. This opposition wouldn’t stay around for long as the manufacturers fell under financial hardships attempting to cover all aspects of the industry, resulting in the removal of dealership offered warranty contracts. This allowed VSC providers to return, and provide dealerships one of the highest profit margin increases in history. Manufacturers began restructuring their offerings for standardized warranties by providing newer vehicles with an industry standard of 3-year/36,000 mile powertrain warranty. This standard is still offered today, except for luxury brands that offer more extensive coverage due to their inflated price tags. In 2016, the VSC industry was forever changed by the adaption of automation and online-driven methods. This set the standard for VSC providers, resulting in many going under due to the cost of adaption. This is still the defined industry standard to date. What are the Types of Extended Auto Warranties? Due to the nature of extended auto warranties, in general, there are two classifications that warranties find classification under. These different types are referred to as implied and express warranties, each providing the general makeup of warranties and the way each of them operates. Implied warranties are unwritten guarantees that a product or service will work as expected or intended. This warranty type states all goods or service provided under this warranty classifications are fit for their intended purposes and provides adequate packaging for the goods or services offered. This warranty provides legal standing for those purchasing goods or services that do not offer a warranty at time of purchase. This is the reason customers can often return or replace items found with defects or issues, as the built-in warranty will protect consumers in the case of these issues. Express warranties are contracts between the contract seller and the buyer of a specific product. 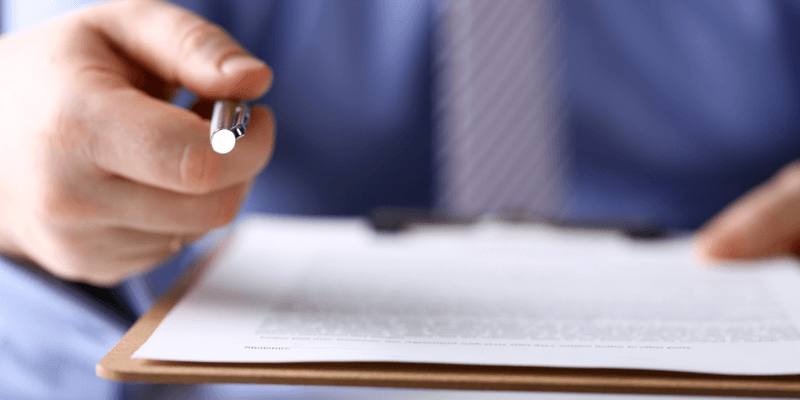 At the time of signing these warranties, buyers will be provided with the defined term of coverage as well as the term length and components covered. This is the promise between the seller and the consumer that the product or service will live up to the expectations advertised. Express warranties can also be defined in its offerings based on their advertisement media and online post from the company. Most extended auto warranties are offered as express warranties, due to the number of components covered. What Kinds of Warranties are Offered from Extended Auto Warranties Providers? Depending on the company, multiple forms of coverage can be offered. Though the names will differ to fit the individual theme of the seller, the coverage offered will gravitate around the same basis as one another. Nearly all providers offer exclusionary extended warranties and provide the most comprehensive coverage found from third-party service providers. Exclusionary warranties are aptly named to reflect the number of components covered greatly outweigh the ones not covered. Exclusionary warranties will define what is not covered, with the implication that the rest is covered. Often, exclusionary extended warranties will include roadside assistance and trip interruption services. Bumper-to-Bumper coverage is one of the more comprehensive offerings from extended auto warranty providers, generally offered as one of the more premium packages. This coverage typically includes protection for a vehicle’s systems and electrical components that comprise the vehicle. The term bumper-to-bumper refers to the component systems being covered from the front to the back of the vehicle. Most commonly, this coverage is offered by the manufacturer at the time of new car purchase. The powertrain/drivetrain is among the most important components to the operation of a vehicle, which is why there is a specific warranty dedicated just to this system. Powertrain warranty is recommended for aged vehicles, as component repairs could cost hundreds to thousands of dollars in labor and parts. Do I Need an Extended Auto Warranty? It is recommended all drivers on the road enroll in an extended auto warranty, regardless of the age of their vehicle. Outside of offering peace of mind to the owner of the vehicle, an extended auto warranty will also assist in affording the multitude of repairs that will occur as a vehicle ages. Depending on the nature of these repairs and how frequently they occur, an extended warranty may save a policyholder hundreds to thousands throughout their coverage. Would Your Life Be Put on Pause If Your Car Were to Break Down? Breakdowns and component failures are often unavoidable, but one breakdown could cause a vehicle owner a considerable loss of money. Most car owners would also be put in a tough spot attempting to commute daily to and from work without a method of transportation. Rental assistance offered from extended auto warranty providers will allow vehicle owners to continue with their daily commute while their car is repaired. Would It Be Difficult to Afford Rent and Food on Top of a Repair Bill? Extended auto warranties were created to save individuals money and make car repairs affordable for everyone. 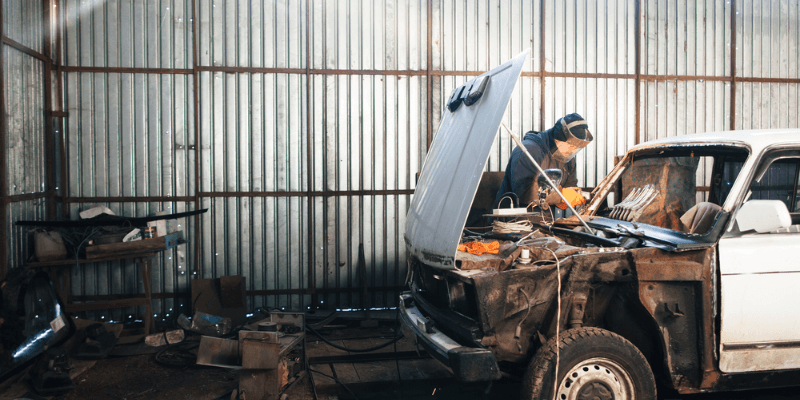 While a thousand dollar repair bill would be detrimental for most, a fixed monthly cost would allow for predictable money management and provide coverage when a vehicle needs repair. This way there is no need to panic when a vehicle breaks down. Do You Commute to and from Work or School? If a vehicle is making a considerable commute to and from work or school each day, the miles will begin adding up. For newer cars with an existing warranty, this may not be such a big issue. But for those vehicles without any coverage, the constant travel will cause components to begin wearing down until a large issue arises. An extended auto warranty will allow for repair coverage and rental assistance when problems eventually arise. Are you Looking to Make Your Newest Car Purchase Last the Entirety of its Lifecycle? Purchasing a new or used vehicle is a big decision to make. For most individuals, when a vehicle is purchased, it is expected to last at least eight years or more. Attaching an extended auto warranty will allow any vehicle to extend its lifecycle by a few extra years. This alone justifies the cost of using an extended auto warranty, instead of being required to purchase a new vehicle years before it’s necessary. If any of the above questions were met with a ‘yes,’ then an extended auto warranty is recommended to be purchased for vehicle coverage. Who Benefits From an Extended Auto Warranty? Extended auto warranties were designed to benefit the policyholders first, with multiple benefits built into the variety of plans offered from the warranty provider. This is in addition to the extensive amount of money saved when the covered repairs are completed. In some instances, policyholders have seen as much as a few thousand dollars saved on repairs alone during their period of enrollment. A/C and Heating systems are detrimental to the operation of vehicles, especially for individuals who reside in a very climate-driven region. If either of the two systems were to stop operating, a vehicle would not be able to offset the surrounding weather inside the cabin of the vehicle, and frequent overheating of the engine will occur. Without an extended auto warranty, an A/C Heating system repair will cost anywhere between $200 to $2000. The water pump is one of the most important components for most vehicle’s engine operation. Most engines rely on water transferred throughout the tubing that runs along an engine and components to actively cool the internals during its operation. If a vehicle is continually operated when the water pump goes bad overheating will occur, potentially damaging the engine as a whole. Without an extended auto warranty, a water pump replacement would cost from $300 – $700. An engines timing belt is integral to the composition and operation of a vehicle’s engine. The timing belt allows for the engine pistons to operate in time with the production of combustion inside of the fuel chamber. If the vehicle is operated with the timing belt out of sync, major damage to the engine will occur. Without an extended auto warranty, a timing belt replacement would cost $500-$900. One of the more common issues that occur on older vehicles is the failure of the power window. Whether this is the power unit needed for operation, the motor itself, or the grinding of the gear used to allow to the window to move up and down, this problem will eventually occur. Without an extended auto warranty, a power window repair would cost $200 – $300. The car starter is one of the most common components to fail in a vehicle and will render a vehicle inoperable until the component is replaced. The starter has very little signs to provide advanced warning to the vehicle owner and is a fairly expensive repair to cover on a moments notice. Without an extended auto warranty, replacing a starter would cost $300 – $500. The transmission on a car is essentially the backbone of the entire vehicle. While the engine provides the power needed to operate, the transmission distributes the power to all of the different components that act in tandem to allow the vehicle to accelerate. Transmission failure in a car is one of the most expensive components to repair. Without an extended auto warranty, replacing a transmission would cost $1000 – $3500. With the composition of an engine’s vehicle having a large number of intertwining parts, one component failure could lead to additional issues if not taken care of immediately. This is where an extended auto warranty would benefit a vehicle owner most. With the low repair deductible as well as provided offerings of rental assistance, consumers will be able to continue their daily activities with minimal interruption. Due to the large automotive race back in the early 1960’s, many vehicles were raced to completion, resulting in non-functional and constantly malfunctioning components found in a large number of newer vehicles. Lemon Laws were put into place to ensure owners of recently purchased vehicles would be fully operational or a new car would be provided. Unfortunately, these provisions vary state by state. This allowed some states version of the lemon laws to be written strictly to benefit the consumer in states such as New Jersey, Washington, and Rhode Island while states such as Illinois favored the manufacturer and provided fewer provisions for individuals impacted by a faulty vehicle. Occasionally, manufacturers won’t offer rental assistance unless specified in the vehicle’s warranty; this differs from manufacturer to manufacturer. In addition to the lack of rental assistance, some lemon laws don’t specify an exact timeframe that repairs have to be completed, just that they need to be completed. In some instances, manufacturers will designate a repair shop where a no-cost fix will be performed. These shops will put bottom priority to the vehicle and sometimes extended the repair timeframe past the warranty limits. Enrolling with an extended auto warranty provider will provide an individual with benefits that will provide a smooth transition between repair times and transportation. Thanks to the offering of rental assistance by most extended auto warranty providers, impacted vehicle owners will be able to continue their normal schedule while their vehicle is fixed. In the event the lemon law is not honored an extended warranty will provide an individual with a cost-effective alternative for fixing a vehicle. 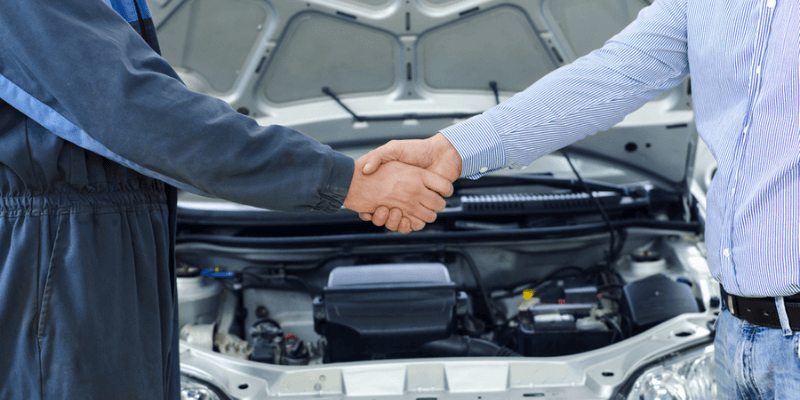 Most car dealerships offer extended warranties to individuals at the time of purchase, with a variety of offerings depending on the type of dealership it is. For manufacturer-owned dealerships, the extended warranty offerings will be designated to new or used cars and follow the guideline set by the manufacturer. These warranties also have a set mileage and time until expiration a vehicle has driven over the designated miles or the contract term comes to an end, coverage will stop with no offering of an extension. Used car dealerships and vendors will often offer their own form of extended auto warranties or partner with an outside extended auto warranty provider. Coverage will be enrolled at the time of purchase and will be included on top of the monthly car payment. Often these extended auto warranties have a markup in price over buying from a third party vendor. Additional discounts and benefits from hotels and more. During the process of purchasing an auto warranty, a vehicle will be assessed to ensure it is qualified to receive coverage or if the vehicle resides within the states that allow coverage to be provided. While most extended auto warranty companies do not always send anyone out to inspect the vehicles, some providers will place restrictions on the beginning of a term period. These can often range from a few days to a month before the policy goes live and require a certain amount of miles to be driven to begin the policy. This is to ensure the vehicle is in operating condition before beginning protection to avoid covering pre-existing conditions. Depending on the coverage guidelines set out by the extended warranty providers, plans could restrict coverage based on the current age and miles amassed by a vehicle owner. For example, DriveSmart’s policies are broken down to allow coverage for vehicles with varying mileage to ensure maximum eligibility for all vehicles. These plans include the Powertrain + coverage that covers vehicles 13 years old and newer with up to 175,000 miles, the Advantage coverage that covers vehicles up to 11 years old with 110,000 miles, and the Elite coverage that covers vehicles up to 7 years old and newer with up to 60,000 miles. This is a perfect baseline comparison for the average rate of extended auto warranties cover. Once the vehicle is covered with an extended auto warranty and all pre-requisites are completed for the full coverage to begin, claims can start being made. Depending on the type of claim being made there will be different ways of processing the request. 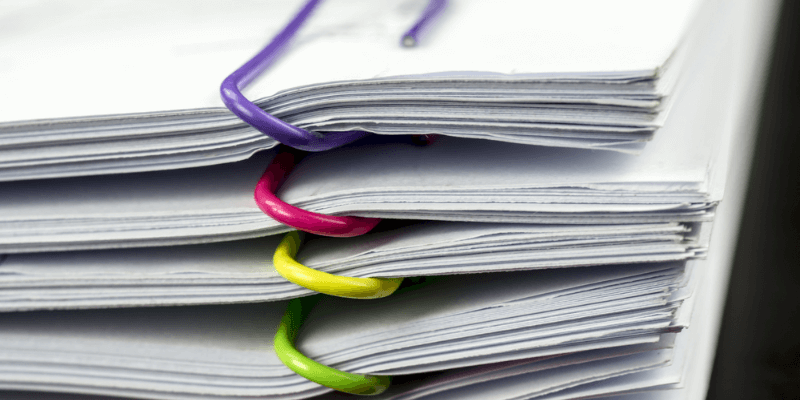 Preparing documentation will allow a policyholder to begin the claim process. Extended warranty providers will often send a claim packet that provides a membership ID card, or documentation providing the membership number. This is required before beginning the claim process. For some companies, contacting a representative may not be required to begin the claim process. Typically, contacting a representative will provide the individual with the location of authorized mechanics nearest to their location. Once a location is found the individual may bring their vehicle to the designated repair facility. The policyholder will then bring their vehicle to the designated repair facility, providing the facility with the member ID to begin a diagnostic to assess if the repair of the vehicle is covered under the policy. As the warranty representative and the mechanic will do most of the interaction, this step may require a waiting period. If the issue is covered under the policyholder’s coverage, the repair process will begin. Once the vehicle is finished and ready to be picked up the mechanic will contact the policyholder informing them of the status of the vehicle. The policyholder will then be charged the deductible from their warranty provider and receive their vehicle back from the mechanic. While not all companies policies include roadside assistance, those that do typically follow the same operating procedures. If a vehicle is broken down on the side of the road, keys are locked in the car, the vehicle’s battery is dead, or a tire is flat the vehicle owner will be required to call the roadside assistance number found on the back of the policy card. During this point, a tow-truck will be dispatched to the position of the vehicle and attempt to fix the issue. If the issue cannot be repaired on the spot, the vehicle will be towed to an authorized repair shop for repairs to be complete. Some auto warranties offer trip interruption coverage with the enrollment of their policy. This coverage allows the vehicle owner to contact the designated provider (typically found on the back of the membership ID card) to begin the process of a trip interruption claim. Depending on the extent of the policy’s coverage, policyholders may be covered for up to three nights of lodging and meals while the vehicle is repaired. Rental car assistance is offered to policyholders in the instance a repair is going to take an extended length of time to complete. To request rental car assistance, a policyholder would contact their warranty provider to find out exactly what their policy entails. Most companies operate off of a reimbursement process, requiring the policyholder to obtain a vehicle from a rental provider and provide receipts after the repair is complete. Depending on the company, additional benefits may come standard with the enrollment of a policy. One of which is the provision of included introductory maintenance. DriveSmart is an exceptional example of this benefit, with the provision of included oil changes, break and rotors replacement, battery replacement and a full diagnostics. This is offered complimentary for new enrollees and can be completed at any authorized repair facility. Regardless if a vehicle is new or old, coverage is always recommended. The problem comes from the oversaturation of companies, most of which offer a diminished quality of service over others. This creates a sense of distrust in consumers and hinders the industry from growing. DriveSmart Warranty is aiming to change this view of the industry by putting customer service first and providing exceptional service to all who enroll. With a multitude of plans and benefits, DriveSmart offers one of the most comprehensive coverages found in the industry. Additional benefits come standard in all plans. DriveSmart provides an unlimited number of claims up to the current value of the vehicle, allowing full coverage for any repair that’s needed. In the event the repair of a vehicle will take longer than expected, DriveSmart offers complimentary Car Rental Assistance for all enrollees. DriveSmart will reimburse policyholders up to $30 a day (up to 5 days maximum) to assist in the rental of a temporary vehicle. If a vehicle breaks down while traveling, policyholders are ensured for trip interruption assistance. Coverage includes reimbursement for overnight lodging and meals up to $75 a day for a total of three days. This provides optimal time for repairs to be complete and to get right back out on the road. DriveSmart covers repairs or replacements to a vehicle’s tire In the event of a damaged flat tire. Tire repairs will provide reimbursements up to $20 per tire, while tire replacements will be reimbursed up to $100 a tire. Restrictions on prior tire depth apply at the time of coverage.